He's an excellent sleeping buddy. You are still in bed, lol!! Ahh Erin, you two are so cute. 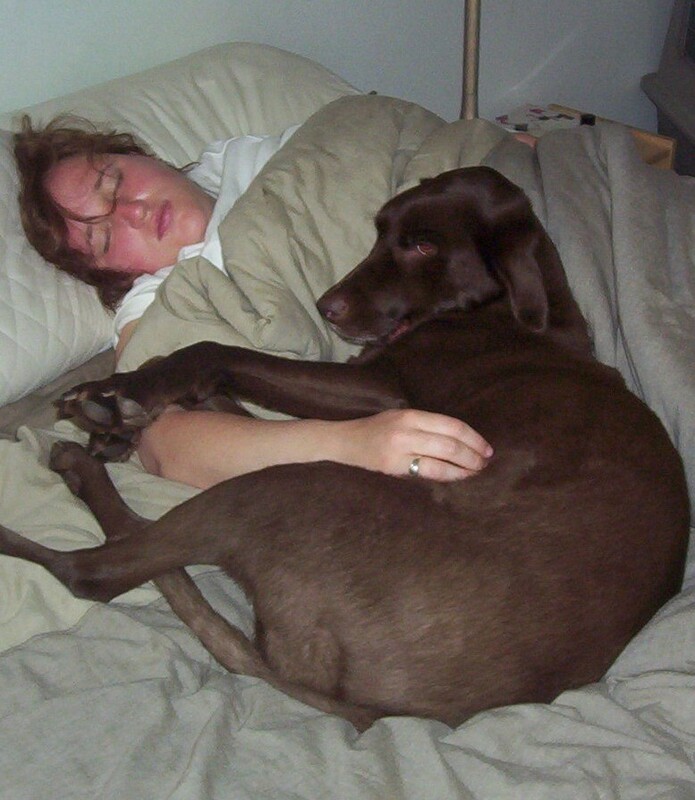 That was funny for Mark to take a snap shot of you cuddling with my favorite granddog.